links to her social media in the end of the post. Below is my make up for the event. So now onto the event! When we arrived we met lots of other Make Up Artists and Bloggers, we were given a glass of prosecco and brownies which tasted amazing. I need to find out where the brownies are from, I need them lol! 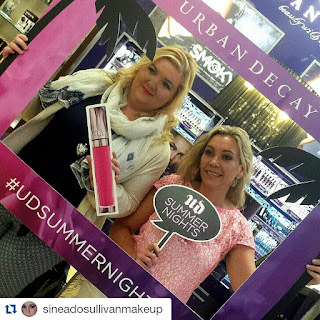 We were then greeted by Laura, who began the event by introducing the brand and telling us some background information on Urban Decay. Did anyone else know they started by selling nail varnish, it's mental like to think how far they have come. They were known for bright colours yet it was the Naked Palette which made them so famous. I love learning about brands and their history. Their very first eyeshadow was Lounge and it was taken off the market a few years ago and there was uproar, #bringbacklounge was launched and it's now back on the market. I have to say Lounge is a fab colour. The first product Laura introduced us to was the coveted Naked Smoky Palette, this was out of stock but it came back in on Tuesday. If you are after one you better get in soon. This palette looks unreal. At first I wasn't too impressed with this when it came out, but after seeing it in real life on Friday, it just had to be mine. I have a super amazing friend who treated me to this. 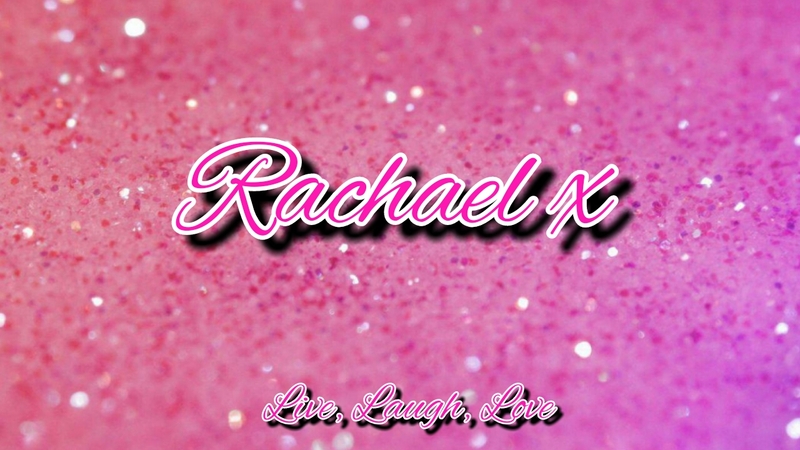 I would like to take this opportunity to say a special thanks to her (she knows who she is) and I honestly can't thank you enough xxxx. The palette ranges from shimmers to mattes. The palette retails at €46. The key to nailing the most sought after elusive eye looks ever is in this palette. Naked Smoky is loaded with all the essentials needed for the perfect neutral smoky eye. This palette is packed with a dozen sultry, smoky neutrals, including nine never before seen shades and three exclusives from past palettes. Experiment with warm brownzes, dimensional grays, rich browns, gorgeous taupes and deep black. From mattes and satins, to shades with Sparkle, Naked Smoky has it all and more. 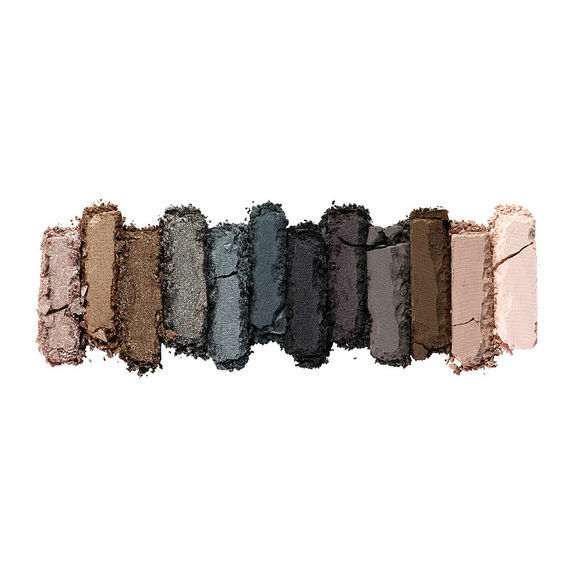 Each shade in Naked Smoky features the Pigment Infusion System, the blend of ingredients that gives every shade its velvety texture, rich colour, serious staying power and blendability. 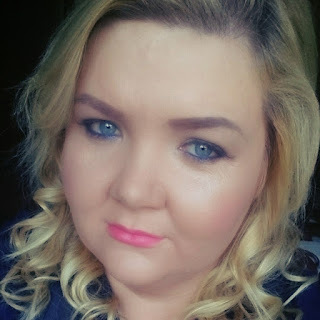 Ever buy a beauty product and then realise you have no idea how to use it? Naked Smoky has you covered, as it comes with a guide. The detailed lookbook breaks down four amazing ways to get Naked and Smoky, and the new exclusive double ended brush(with a Tapered Crease brush on one end and Smoky Smudger Brush on the other) makes application super easy. 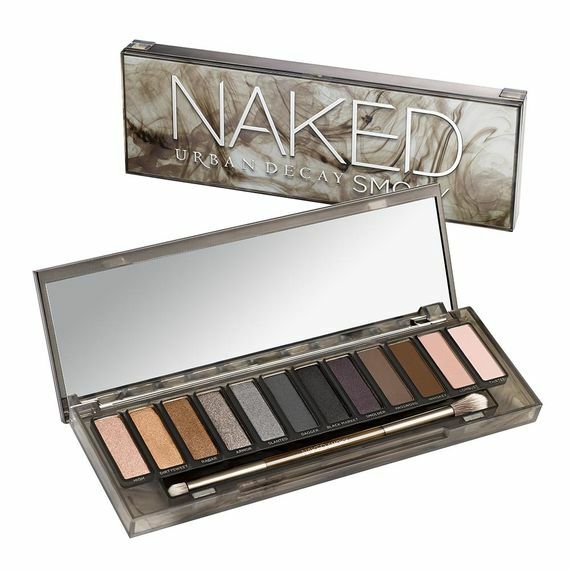 The case and brush feature a cool floating smoke effect, with "Naked Smoky" in gunmetal foil. You all need this in your life! Lol. 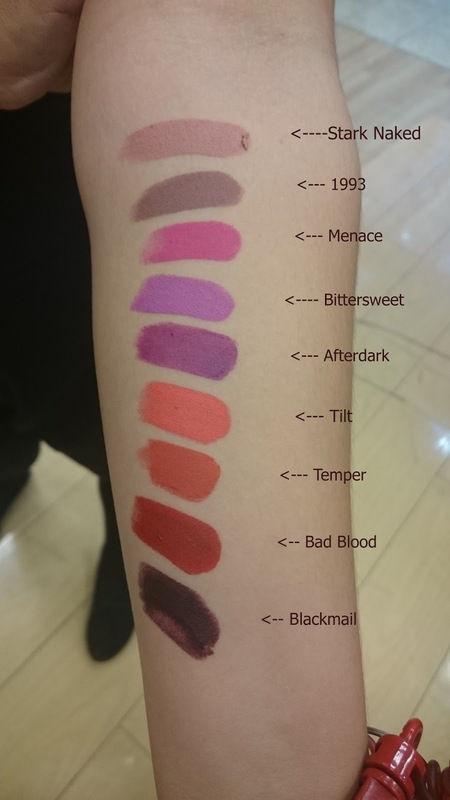 €19 each which is unreal for a fabulous matte lipstick. Matte Revolution Lipstick features the proprietary Pigment Infusion System™, which gives the formula its supercreamy texture, insane pigmentation and superior color dispersion. provide a hit of antioxidants. The lineup? Nine never before seen shades from neutrals to brights to deep-dark colours. Next we got to see some of Laura's favourite Urban Decay Shadows. I love these shadows, they are very pigmented. Insane color payout. A velvety, suedelike smoothness and blendability. The mind blowing formula delivers unmatched performance in a stunning array of shades. Soft, amazingly velvety texture, rich, dense and decadent colour, smooth, uniform pigment distribution and blendability. Long lasting, crease free wear. 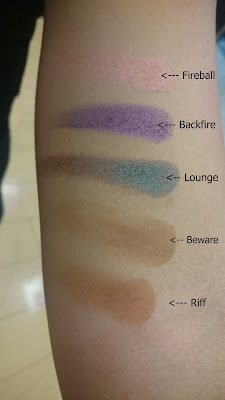 Out of all the shade's Laura swatched I want Lounge, Fireball and Riff. Lounge was the first ever eye shadow UD launched and it's a duo toned shadow so it looks green in some light and brown in others. It's amazing. Next is fireball, this is a peachy toned shadow, which will go well with any shadow and its very versatile. And finally is Riff, Rosie Connolly has made this shade the most wanted shade. 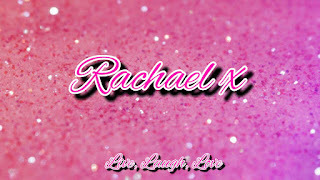 Its a fab warm orange toned brown which is perfect for blue eyes, but will look amazing on all colours. easy to craft the perfect set. 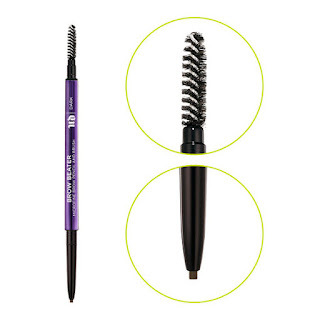 Use the retractable pencil to fill in and shape brows, then groom and blend with the spoolie brush. The selfsharpening format is good to go: no sharpening, it is even loaded with moisturizing ingredient like vitamin E, argan oil and coconut oil. 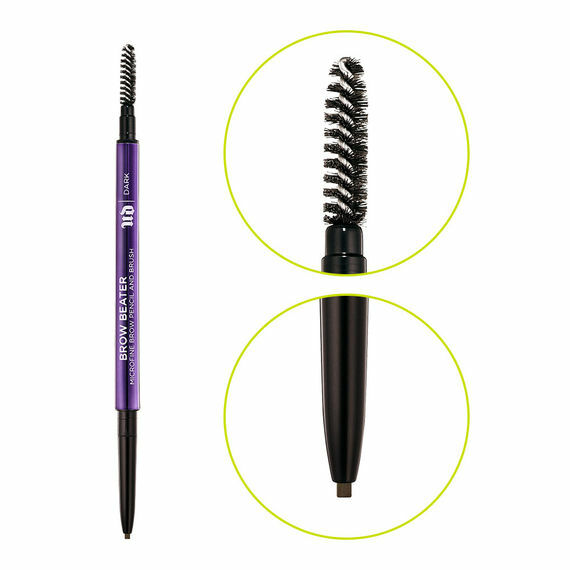 Brow Tamer is the last product we were shown, its UD's newest brow taming product. Tame even the unruliest of brows with this new gel. Brow Tamer Flexible Hold Brow Gel grooms, defines and sets for a fuller, more polished look. Never stiff or sticky, our lightweight, water-resistant formula provides flexible, comfortable hold that lasts all day. Choose from one of four universally wearable tints for natural looking definition or opt for the clear shade. With a perfect, easy use spiral microfiber brush, you'll have total control. The brush is so precise that it allows you to not only colour and control, but also place individual hair and sculpt the perfect brow. 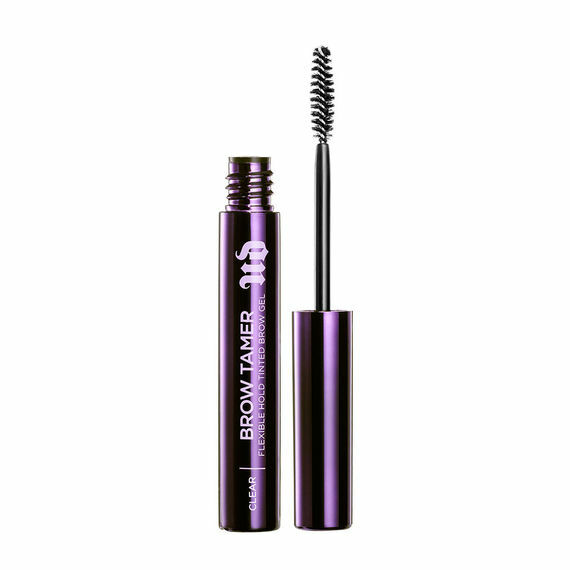 This lightweight paraben free formula dries quickly and provides flexible, comfortable hold without getting stiff or sticky brows feel controlled and soft, never crunchy. It looks amazing. I am not too sure what price these are but I think they are in around the €20 mark again. Some pics of the event! Because the lovely ladies at Urban Decay are so nice we all got goody bags with a full size sample of Urban Decays Velvet Glide on Liner, samples of Eye Primer and a sample of Gucci perfume. I can't wait to use my samples. I hope you enjoyed this post as much as I enjoyed the event.